Click to immediately download whichever you like, from Photoshop CS5 to Master Collection! Note there is a single trial download for Photoshop – it’s Photoshop CS5 Extended, which includes the Standard version. You decide which you wish to activate at the time of purchase. * The same thing goes for CS5 Design Premium and Design Standard – you get the bigger one and choose later. Also, the trials for the suites do not bundle Acrobat 9 Pro – so it must be downloaded separately. If you’re upgrading to CS5, you can install a trial and then buy an upgrade to convert your trial into a purchased version. What’s more, a single CS5 purchase may entitle you to install and activate the software on two systems with certain restrictions. No serial number is needed to download or run the trials. For more information on these and other questions, refer to the full CS5 Trial FAQ. See also: The complete CS5 Product Matrix, CS5 Price Sheet & CS5 System Requirements. * Note that for Adobe’s Education (Student and Teacher) Editions, there is only one version of Photoshop offered or available – the top-of-the-line Photoshop CS5 Extended. The good news is you’re getting up to 80% off the regular price! Just click on the icon for the software you want, then select your product language and platform (Windows or Mac) to begin the download… If you don’t already have an Adobe ID you’ll be prompted to get one, but it’s a very easy process with just a few fields to complete. Where can I download the CS4 trials? Is there any way or place to still get them if I need them? We now have a listing of the direct links for all original CS4 trials still available for download from Adobe’s servers, including Premiere Pro CS4 and After Effects CS4 (which don’t require a 64-bit system as their CS5 counterparts do), as well as the rest of the applications like Photoshop CS4 and Dreamweaver CS4 (although those CS5 tools both work fine with 32-bit systems). If you have difficulty with the Akamai Download Manager (DLM) that Adobe uses, you can use our direct download links for CS5 instead. Can you get a student version of CS5? The older version? But why would you want an older version anyway, when you can get the new student editions for 80% off? 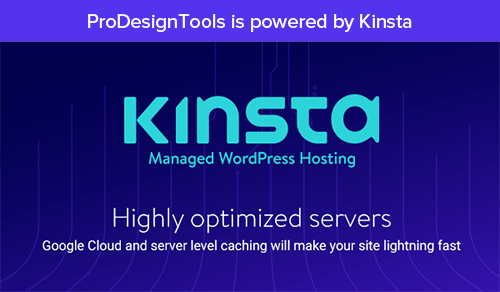 Lo siento German, no tenemos que están disponibles aquí – pero si te encuentras en algún lugar FreeHand por favor háganoslo saber! I want ‘CS5 EXTENDED’ – it’s not here ? Where can i find it ? It is here. 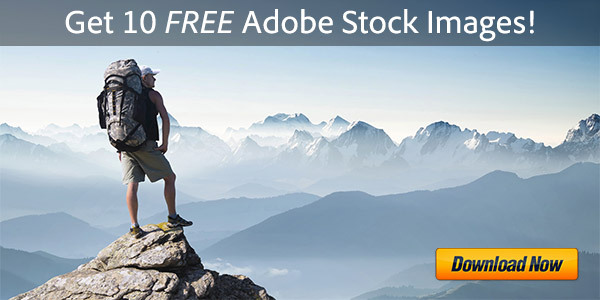 All Adobe Photoshop trials are the Extended version, including here for Photoshop CS5 Extended. I downloaded the trial for CS 5 to which I have a product code, but when I try to activate the “MasterCollection_CS5_LS4.dmg” I get a Warning pop up window saying “The following disk image couldn’t be opened” and below a statement that the file “MasterCollection_CS5_LS4.dmg” is not recognized. Hi Jesper, for what that message means on your Mac, please see this previous discussion. thanks for these options. i found the trial version here. But it does not say where the CS5 free trial is! 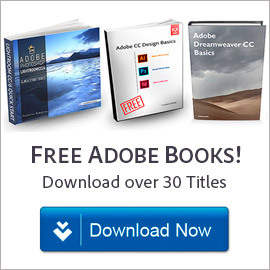 But you’ll find the Adobe CS5 direct download links here. Hi, what tab are you talking about? I am new student of graphic design. If you extend the free trial from 30 days and increase it to 60 days, I think more students will have success with your software. I have a purchased a windows version of CS5 that has been uninstalled from a previous computer. Is a apple trial version available to install from the web and then could I use the install code that I have ? No, the old CS versions were not sold multi-platform… You bought either for Windows or for Mac. Customers could possibly “crossgrade” to switch between systems (a one-time change from PC to Mac or vice versa), but only for CS6 (the last Creative Suite version). …but they are all trial versions and your serial number will not work if it’s for the wrong/other platform. Hi! So, I downloaded both the files File 1 and 2 for illustrator. It downloaded and when I opened them, I got a message saying “The file archive part of Adobe Illustrator is missing. You need all parts in the same folder in order to extract Adobe Illustrator CS6. Please download all parts” What should I do know? It sounds like your browser (especially IE) may have dropped or changed the file extension when downloading the program… In that case, your computer might not know how to open it, or might think it’s a text file instead. If that happens, you would need to rename the file to add back the proper file extension… You have to hover your mouse over the link above and check what it is at the end; usually for Windows it’s a .exe or .7z or .zip file. Hi! So, I am getting a message which says “The version of this file is not compatible with the version of Windows you’re running. Check your computer’s system information to see whether you need an x86 (32bit) or x64 (64bit) version of the program, and then contact the software publisher.” What should I do now? I need to download Illustrator for my project, so could you please help me out. Not sure Mansi. Which version of Adobe Illustrator are you trying to download? And what version of Windows are you running, and is it a 32-bit or 64-bit system that you have? Here’s what we found when we googled that error message. There’s a mismatch going on somewhere. However, are you sure you want an older CS5 or CS6 application instead of the newer/latest CC 2017 releases? 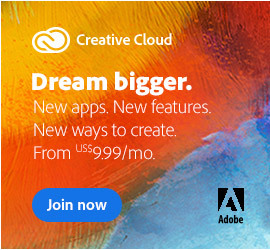 As a Creative Cloud subscriber, you are entitled to run any CC version you wish (and/or CS6). If you have a 64-bit system, then you should be able to run most any recent Adobe CC product. Recently my ssd boot drive failed, as did my backup, leaving me to re-install windows 7 pro from scratch ( quick tricky for a 80-year old, but made it ). Have lost much of my graphic software, much of which will not run on W10, so stuck with W7. Photoshop Cs5 has been lost. which I have been using for a few years ( mainly to provide assistance to my local Historic Group), and am aware that you, as do other firms, advertise free downloads. I presume mainly to evaluate it. I am checking to see if I can afford to replace it. As I am very familiar with it, I would ask you after 30 days clearly there is a cost to complete an installation. Please advise as with my limited means, may well direct me to buy Elements instead. Your advice would be appreciated. I await your comments and information with interest. If you still have your original serial number available, then you should be able to [re]activate Photoshop CS5 using that free trial download. If not, then Adobe no longer sells Photoshop CS of any kind, so the one-off perpetual license you had cannot be replaced. However, low-cost Photoshop CC subscriptions are available. Thank you for replying to my e-mail, however you did not appear to answer the main point of my enquiry. Please refer to my original request and you will see that as I have limited means, and no way of recovering my lost software, I wished to know what cost at the end of a trial period to complete the purchase. I would appreciate your response with interest. George, there’s simply no way you can still buy Photoshop CS5 from Adobe, and we strongly advise against trying to get it from other places (like eBay). So if you no longer have your serial number – and no way of recovering it – then you might try either the Creative Cloud Photography Plan (which includes the latest releases of both Photoshop CC + Lightroom CC, plus ongoing updates and other integrated tools and services) – or try Photoshop Elements instead, which is Adobe’s scaled-down option. Again I thank you for prompt follow up. I seem to be missing a point somewhere. 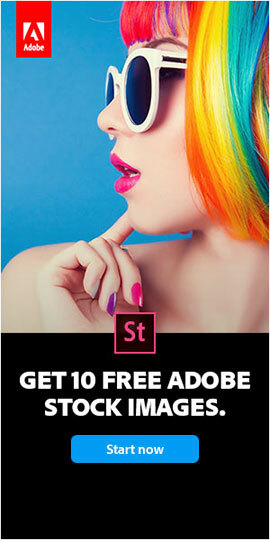 You state that ” there’s simply no way you can still buy Photoshop CS5 from Adobe,” which is something I am very much aware of, and why I was interested in your Webpage which says that I can have Photoshop CS5 as a free trial 30-day download from you. Can I make a fresh approach. Let us assume that I am new to graphic software, and would like to get Photoshop CS5 as I know it will run on my W7pro PC. At present I cannot entertain upgrading to W10 as much of my software will not run on W10. Hence it would make sense to go for CS5. George, if you’re just interested in a free trial of CS5, then please see the first link in our very first reply to you above. Best of luck! HEY SIR, I WANTED TO DOWNLOAD FREE PHOTOSHOP FOR MY MAC… TELL ME HOW CAN I??? WHERE CAN I GET THE CRACK FILES AND WHERE TO PASTE?? ?